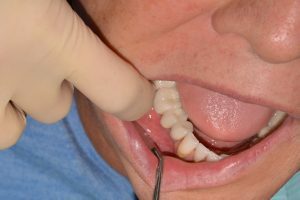 Mr J attended the practice in April 2016 with a failing bridge on the lower right-hand side of his mouth and did not want to be left with a large space. 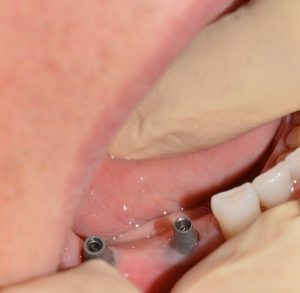 Various treatment options were discussed with Mr J at his consultation appointment, and the decision was made to have two dental implants placed using guided surgery, and then to have a bridge for the final restoration. 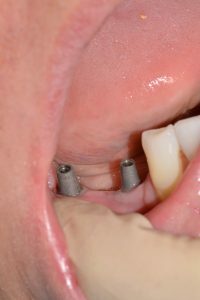 The implant surgery took place in July 2016. The final bridge was then fitted in November 2016. What Mr J had to say about his guided surgery treatment. “I was always self-conscious of the space that I had, I was scared of laughing in case people noticed it and I also struggled to eat”. “I found the experience painless, relaxing, and a smooth process”. “At the practice, I was treated professionally and the team were friendly. They had a great understanding of what I wanted. I would 100% recommend this to anyone”.